It’s not news to most ears that Israel’s security considerations have been used as fodder by those seeking to delegitimize the country. We often see how a story involving Israeli soldiers trying protect our borders or maintain public order is spun into something much worse by anti-Israel forces, to the detriment of Israel’s image. We know that what is generally remembered from these stories is the pro-Palestinian activist being hit in the face, not that seconds earlier he was throwing rocks at soldiers; or that nine Turkish activists were killed on a ship, not that they beat Israeli commandos with clubs and knives moments earlier, while purporting to be “peaceful” activists. Last week, Israel had the opportunity to defeat negative images of itself and win over the hearts and minds of some 35 non-Jewish tourists when they visited the country, most for the first time, for none other than my wedding. These tourists, close friends from the U.S. and Europe, had a truly wonderful time and most said they couldn’t wait to visit again. But these buoyant sentiments came crashing down on their way out of the country. In the weeks prior to their arrival, after I managed to convince them to come to Tel Aviv (which itself was not easy), I set out to promote Israel to them with full force. I did my best to etch into their minds that this would be a worthwhile and unforgettable trip. I hoped that I would be able to share with them a very important part of my life — my birthplace and homeland — and that they’d leave with a different, and deeper, understanding of Israel than they may have had from the news. My family worked on a comprehensive itinerary for them, including tours throughout the country, hosted dinners and arranged accommodations and transportation, invited them to my authentic Yemenite henna ceremony, and hoped they would come away with a cherished experience. I even wrote a letter to Prime Minister Benjamin Netanyahu detailing their experience and telling him this was the way to delegitimize the delegitimization of Israel. In short, it turned out to be a very rewarding trip for everyone involved, just as I had hoped. What I failed to be prepared for was the hard time that airport security would give one of my guests, an old friend who happens to be Muslim. I knew she’d be flagged by security because of her Muslim-sounding last name, and she predicted it would happen as well. In fact, she was very accepting of it, saying she understood the reasons behind the security checks. This friend, whom I have known since I was 15, is an American citizen who has never been preoccupied with Middle East politics, but unfortunately she fell prey to the brunt of the conflict, the lingering suspicion between Muslims and Jews here that seems constantly to blind everyone to the idea that these two groups can get along. And still, my friend spent her week in Israel enjoying every moment. She had only praise for the different sites she saw, the authentic experiences she was a part of, and the hospitality she was shown by my and my husband’s families. After airport security kept her for over an hour when she entered the country, I thought the worst was over. But at the airport on her way back to the U.S., she was again subject to intense security checks, but this time much worse. Out of 15 other friends who were to board the flight with her, airport security stopped only her, searching her entire body from individual strands of hair down to her toes. They opened all her bags, sifted through all her belongings, swabbed them and put them through x-ray machines. They checked her belongings and checked them again. They held her for over two hours, releasing her just 30 minutes before her flight. Later, when she returned to the U.S., she told me it would all have been fine, that even though it was a blatant act of racial profiling, she understood why they needed to do it, the way that we Israelis don’t take issue with these checks because we know they are for our own security. What she said was unbelievable, however, was the utter disregard with which she and her belongings were treated. At no point during her security check did anyone explain to her what was happening. When she asked why they forced her to check in her carry-on bag instead of letting her take it on the plane like everyone else, they refused to answer, simply telling her she couldn’t. And worst of all, when they searched her belongings, they cracked her cell phone and punctured holes in her sports shoes, permanently damaging them. When she pointed out the damage, a security guard abruptly told her to send them an email about it. And that was that. She later told me that she had a wonderful trip but that it was overshadowed by her treatment at the airport. And although she was the only one of my out-of-town friends who was hassled by airport security, her experience ultimately affected everyone, tainting their trip. After all my efforts to paint a picture of Israel as a tolerant, open, free, modern and vibrant place that, despite its many security problems, has been able to truly thrive, this last incident at the airport and my friends’ subsequent reactions to it broke my heart. Here was a chance for Israel to win over 35 new fans, but it was botched. Instead, my friends left with a bad taste in their mouths. Before angry readers accuse me of suggesting there should be no more airport security checks, I want to say I am very much in favor of these checks. Israel’s airport security is unparalleled and many countries, including the U.S., have emulated some of its strategies. However, it would not be the worst thing in the world if airport security guards were instructed to remember that they are dealing with human beings. It would not be a bad idea if Israeli citizens in general remembered this in the ways they treat each other as well as tourists, most of whom come to Israel with good intentions. And Israel needs this kind of tourist. 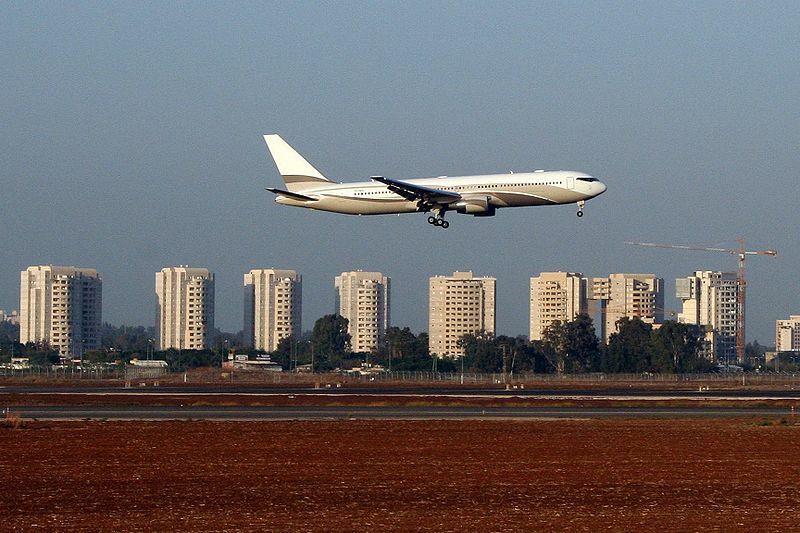 The Tourism Ministry frequently boasts about record numbers of travelers visiting Israel each month. But we don’t really know what image these travelers leave with. Are they leaving with a positive view and becoming sort of “goodwill ambassadors” for the country? Or are they leaving disgruntled and offended by how they may have been treated, telling others never to come visit? The government invests a great deal of money and resources in hasbara aimed at countering Israel delegitimization campaigns. But anyone concerned with battling negative images of Israel abroad should remember that the work starts right here at home.